Environmental organizations were quick to vent their fury over new plans, announced Tuesday by Norwegian oil company Statoil, to dramatically expand oil exploration activity in the northern reaches of the Barents Sea. One activist called Statoil “immoral” while conservation authorities are worried. Statoil announced major plans to triple its budget for research related to technology for use in the Arctic, to make it possible to drill for oil and extract it under extreme weather conditions. Statoil also plans to build a new type of drilling rig for Arctic areas and start exploring in the Norwegian sector of the Barents next year. Tim Dodson, exploration director for Statoil, said Statoil will drill nine wells in an uninterrupted Arctic campaign in 2013. Dodson claimed the area was “less challenging” since it’s an ice-free zone all year long. But he said the experience gained there may be used on other prospects in other areas of the Arctic later. He called the Arctic “the most exciting area” for future exploration, with large potential for major oil discoveries. Both Bellona, Norway’s chapter of Friends of the Earth (Naturvernforbundet) and The Norwegian Directorate for Nature Management (Direktoratet for naturforvaltning), one of state five agencies within Norway’s environmental ministry, worry about effects on the climate in the sensitive Arctic areas and the lack of oil spill preparedness in the areas targeted by Statoil. Lars Haltbrekken of Friends of the Earth is worried about the consequences of any accidents as well. “We know that today’s spill preparedness is far from good enough to tackle an accident in these areas, and probably never will be,” Haltbrekken told NRK. Hauge of Bellona is the most upset, already accusing Statoil of planning “environmental crimes” and calling its planned Arctic operations “worse than the oil sands,” referring to Statoil’s controversial investment in Canadian oil sands projects. 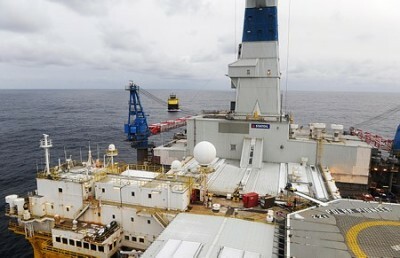 Pedersen said the major expansion of research budgets is aimed at giving Statoil the knowledge it needs to explore and extract responsibly, “to ensure that we can develop the areas in a safe way in the future.” Statoil already has drilled 89 of the 94 exploration wells in the Norwegian sector of the Barents Sea. He denied that Statoil timed its announcement to coincide with an extraordinary session of Parliament tied to last year’s terrorist attacks, which commanded the attention of Norwegian media on Tuesday. Pedersen said Statoil executives weren’t trying to minimize negative press, but rather wanted to make the announcement on the first official day of the Offshore Northern Seas (ONS 2012) exhibition in Stavanger, where Statoil is headquartered. See Statoil’s own explanation of its Arctic drilling plans here (external link).